Johann Simon Mayr was born in 1763, before young Mozart had yet written an opera, and lived to 1845, when the newest hits were Verdi's I due Foscari and Ernani. He moved to Italy as a young man and spent the rest of his life there as "Giovanni Simone." Mayr is remembered today mostly for being the sole teacher and lifelong friend of Gaetano Donizetti, but in his prime years he was Italy's most important composer, yielding that position only to his friendly rival Rossini. Mayr's operas brought the harmonic and instrumental sophistications of Mozart to the Italian stage. He is the "missing link" between Mozart and Bel Canto - but also a harbinger of the future. 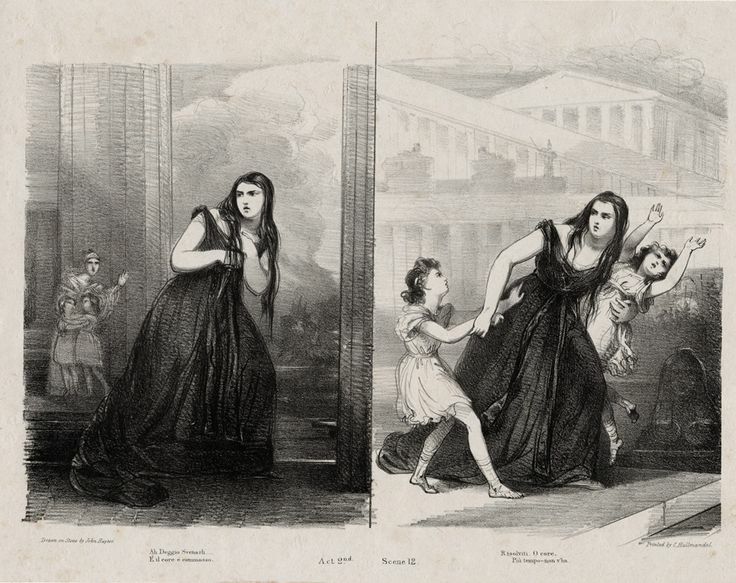 Serious opera in the Romantic era meant tragedy; the stark vision of Medea in Corinto showed the way.